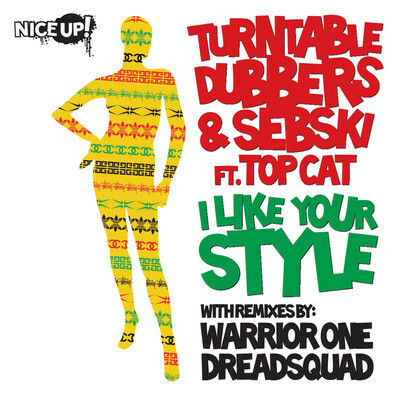 The Belgium based Turntable Dubbers teamed up with polish producer Sebski and Dancehall/Ragga-Jungle veteran Top Cat. “I like your style” is a nice Reggae-House track, dedicated to the ladies. The vinyl, which was released a couple of days ago, features a Reggae Remix by Dreadsquad and an UK Funky version by Warrior One, next to the original tune. The digital version, out today, also contains a extended mix and a additional Remix for the Clubs by Sebski, himself.